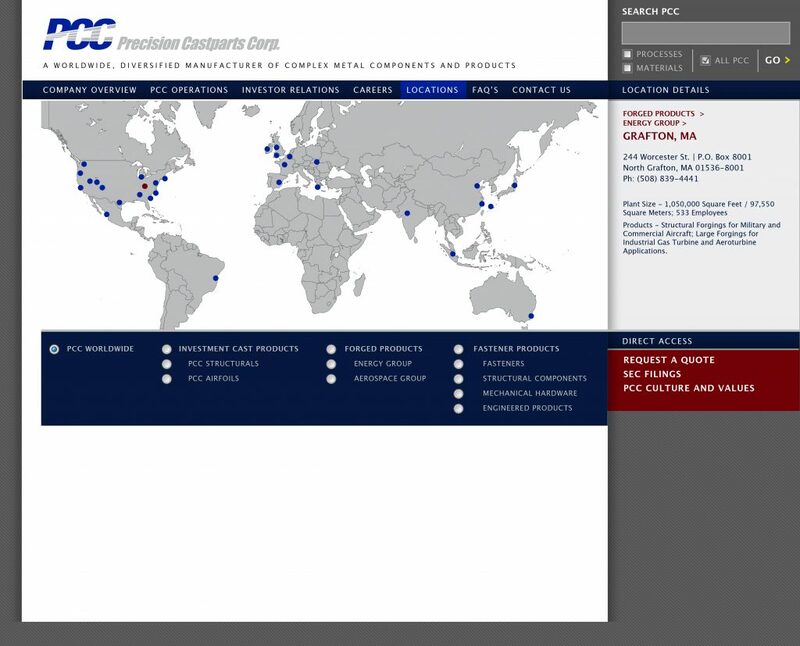 We successfully designed and developed the first corporate home site for this multinational company in 2001, so we were honored to be asked to significantly re-envision the site over the last nine months. 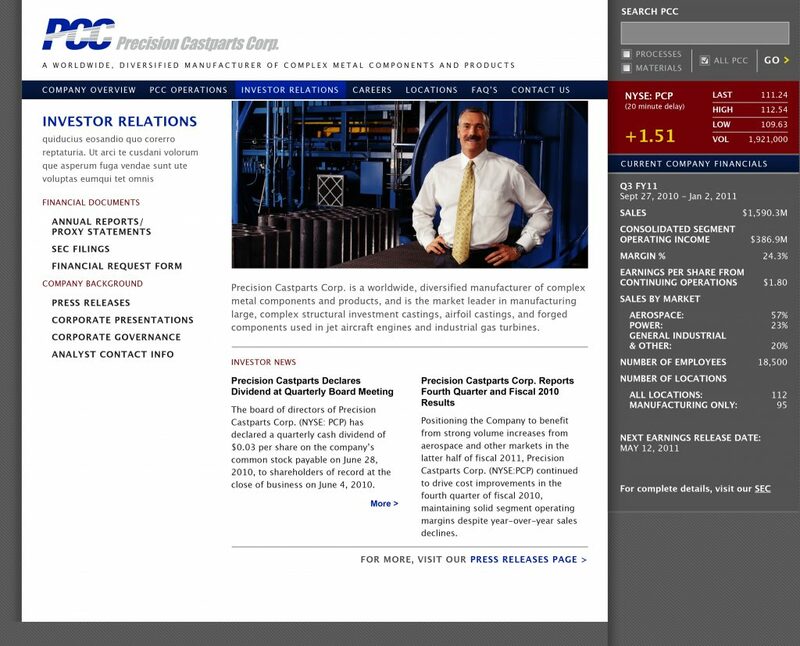 Leveraging in-house IT staff for implementation, we specified a CMS platform and then recast the entire structure of the site to mirror PCC’s business areas and serve its key audiences. 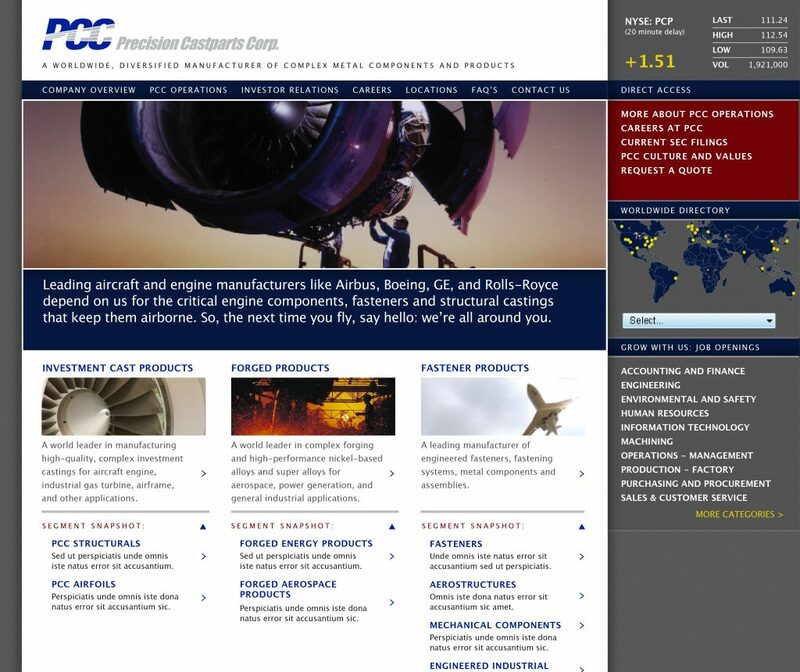 The result is lean and focused, like the company itself. 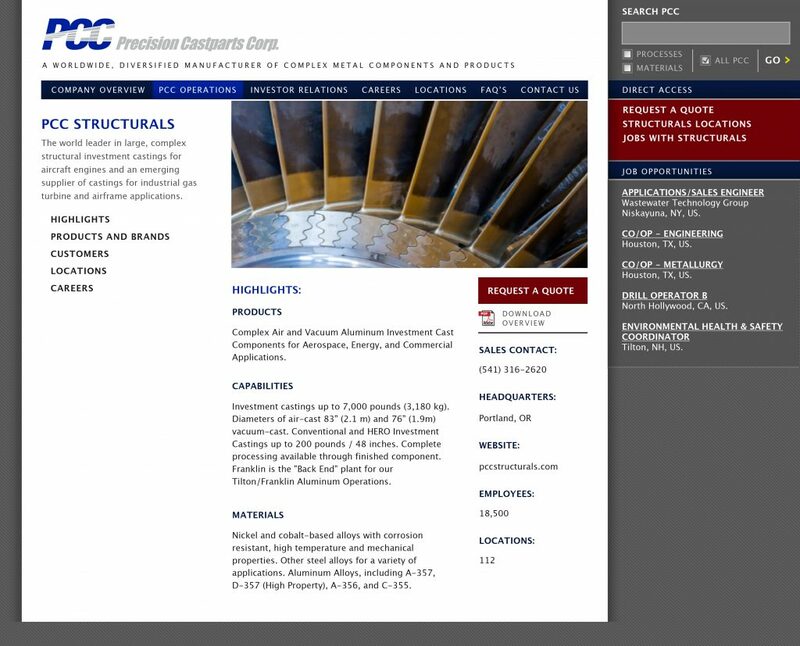 We’ve also developed the site for one of its major divisions (PCC Structurals), as well as an intranet for the company which features a powerful document repository and auction site.